Lenco HP-080 review | What Hi-Fi? 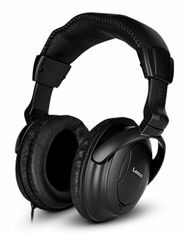 These are really cheap for noise-cancellers, and although they’re fairly solid, the volume and noise-cancelling controls feel cheap. The noise-cancelling is fine, but it does introduce some hiss. That said, it also improves the Lencos’ sound, adding attack and drive.